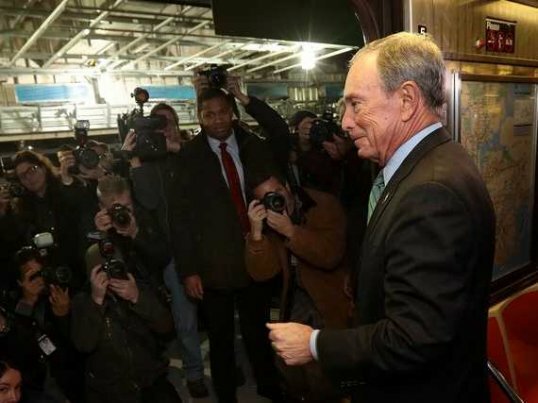 Last month in his waning days in office, Bloomberg took a ride on the $2.4 billion dollar extension of the 7 train to the Far West Side of Manhattan. This ride was part of his whirlwind self-congratulatory tour across the five boroughs to celebrate supposed accomplishments of his term. Unfortunately, when he arrived at the new station, there was very little fanfare. There were no crowds of local residents to cheer him on due to the fact that very few people actually live out there. According to NYC City Planning, there will eventually be 12,600 housing units and 440,000 new workers traveling to the Far West Side. Whether or not these numbers hold true is to be determined. Throughout the history of New York City the mantra has been: If you build it, they will come. However, as Max Rivlin-Nadler questioned, what about those New Yorker’s that are already here? Prior to Bloomberg taking office, the neighborhoods of Highbridge, Morris Heights and University Heights were already transit starved. Due to it’s steep topography, the West Bronx remains as topographically isolated today as it was in the late 1800’s when Cromwell’s Creek ran north up up the valley beyond 167th Street. With an estimated population of over 100,000 Western Bronx residents in the aforementioned neighborhoods, the closest subway line is the 4 train situated at the base of the valley. Many have argued that when the 4 train was constructed, it should have been located further west so as to not become redundant with the Grand Concourse line. Given its level of ridership these days, redundancy does not appear to be an issue. In fact, the intense volume of traffic on the 4 train was in part what spurred the renewed effort to construct of the Second Avenue Line in Manhattan. 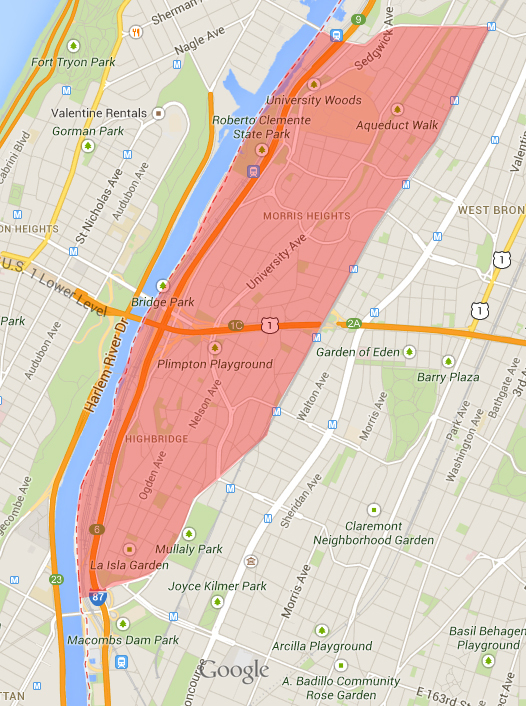 In contrast to Riverdale which has used topographic isolation to its advantage in order to create a luxury enclave, the West Bronx has stagnated economically. In the early 1900’s transportation to this area was better or at the very least more appealing. Most notable were the former streetcar lines that ran down Ogden Avenue, Edward L Grant Highway and University Avenue. Unfortunately, those streetcars were phased out and replaced by buses. What was once considered a pleasurable ride to the top of the bluff now seems more like a burden. Even with it’s poor transit access, the city continues to build new high-density low-income residential units in the Western Bronx. Completed in 2012, Highbridge Terrace added 220 affordable housing units at the far west end of 167th Street. While the building has panoramic views of the Harlem River, residents literally need to travel up and down a small mountain in order to get to the nearest subway. This is one of many new affordable developments in the Bronx erected during the Bloomberg administration. What happens when a city concentrates poverty in topographically undesirable locations? Eventually, those areas could end up like Providência in Rio de Janeiro. Providência was the first of a network of hillside favelas that dot the landscape of Rio. The favelas have historically been plagued by poverty, crime, drugs, etc. In contrast to New York City, the politicians and general population of Rio have actually come to the realization that topographic isolation of poverty is a problem. In response, the City of Rio de Janeiro is now making concerted efforts to improve transportation access to those areas. Admittedly, the existing transportation in West Bronx is better than most favelas in Rio, but the problems it faces are similar. Lack of transit-oriented development when it comes to low-income housing has put that part of the Bronx at an economic disadvantage. 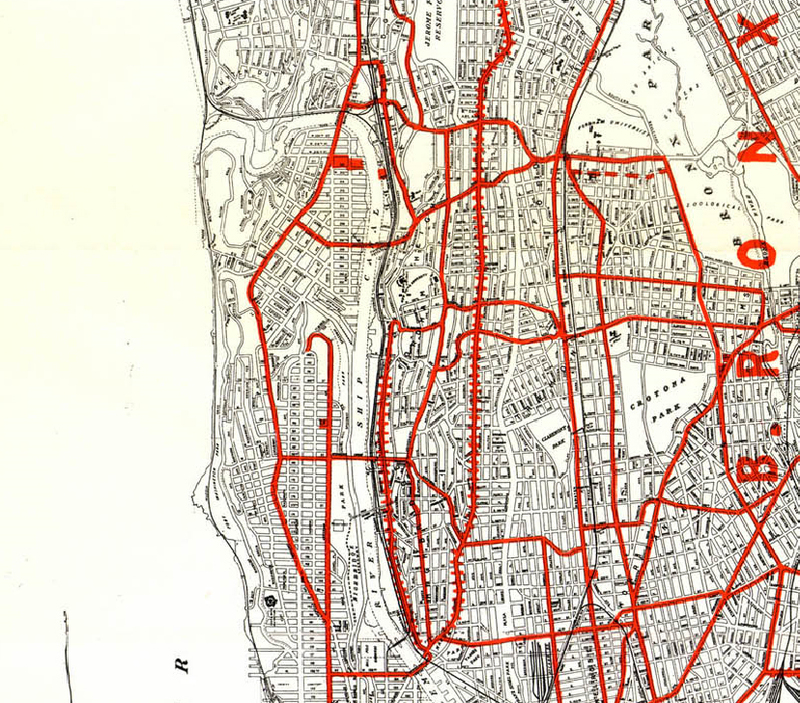 The neighborhoods of Highbridge, Morris Heights and University Heights would have been in far better shape today had the city adopted a policy of converting open lots into parkland. Instead, the city appears to be on a mission to infill every remaining piece of green space with either high-density apartment buildings or NYC’s cousin to the South American favela home i.e. the masonry two & three families with rusty A/C sleeves and exposed wiring that are becoming increasingly ubiquitous throughout the outer boroughs. These physical manifestations of the lowest common denominator in building code usually start to deteriorate before they are even occupied. In the case of the West Bronx, the new housing has already been built and new residents have already come. The question is how do Bronxites convince a city government that has historically neglected the borough to invest in some of its most impoverished neighborhoods. 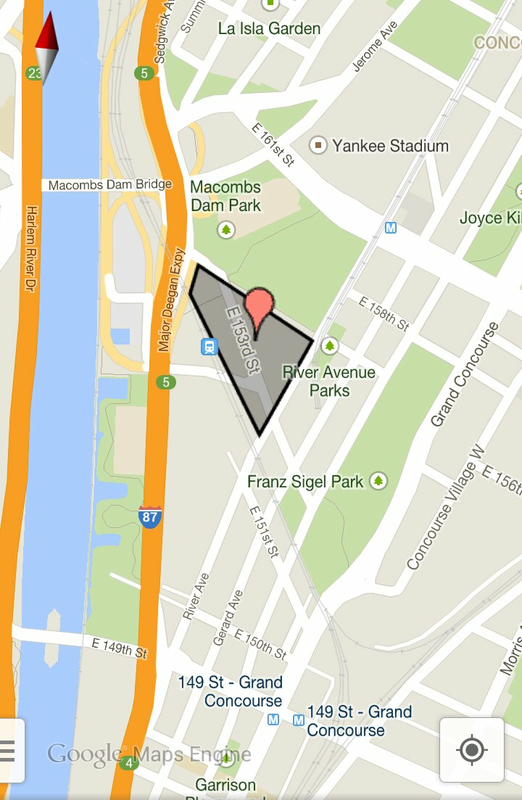 The answer could very well lie with the recently proposed soccer stadium. When the new Yankee Stadium was constructed, one of the community benefits was the construction of a Metro North station. 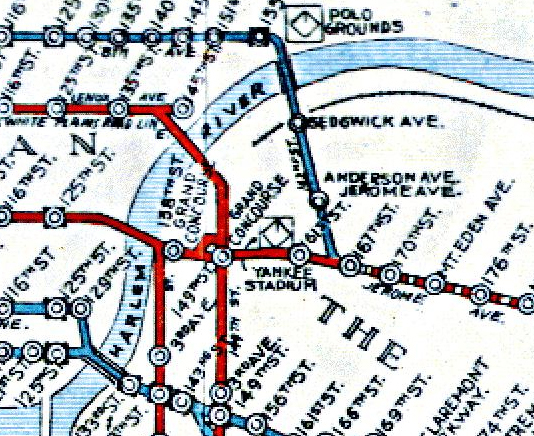 Map showing old Jerome/Anderson Avenue Stop on the old 9th Avenue Line. The proposed soccer stadium could be an excellent opportunity to request the MTA extend the 3 train into the Bronx to the approximate location of the old 9th Avenue Jerome/Anderson stop. In a perfect world, the train would be extended up Ogden Avenue and University Avenue terminating in Kingsbridge Heights. However, we all know that the city prefers to work in phases as seen with the Second Avenue line or the proposed extension of the 7 line to New Jersey. While the government seems adverse to improving subway access in low and middle income neighborhoods, the argument can be made that there is a tangible benefit of providing a another mass transit option to Manhattan’s well-heeled soccer and baseball fans. In addition, the new subway could serve as a catalyst to develop mixed income housing along the Harlem River waterfront. Bronxites will realize the benefit of the return of direct subway access to the southern end of Highbridge. In the future, perhaps a more civic oriented governance will decide to extend the 3 train further. Alternatively, affluent New Yorkers may eventually decide to flee to higher elevations away from the flood zones and decide to extend the 3 train further. Whatever the future may bring, it is important that we develop the infrastructure to prepare for it. Now may be the best opportunity that we have in the foreseeable future to get a new subway line into the Bronx. I suggest we take advantage of this opportunity. RICHARD GAREY is an alumni of Columbia University School of Architecture, Preservation and Planning. In addition to his professional practice as an architect, he has been involved with the Harlem River Working Group, the Bronx Metro North Study and the restoration of Aqueduct Walk Park. Richard is resident of the Concourse section of the Bronx. Comments, views, and opinions are that solely of the author and should never be misconstrued as that of Welcome2TheBronx or any other authors of this site.